Eyes are precious and finding the eye care professional that is right for you is an important decision. A pleasant experience can begin with our convenient office hours and location that has easy access and ample parking. 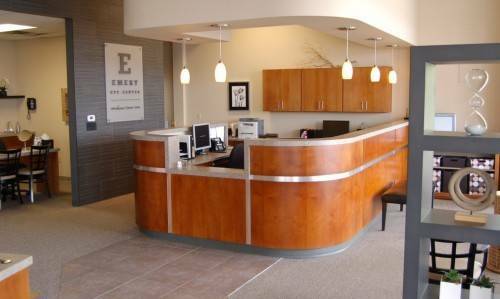 During your visit you will see our exceptional array of eye care products and find our personal service offers you a unique blend of traditional and ultra modern technology to meet all your eye care needs. The successful combination of knowledge, experience, trust and caring professionals gives you the right choice for eye care.